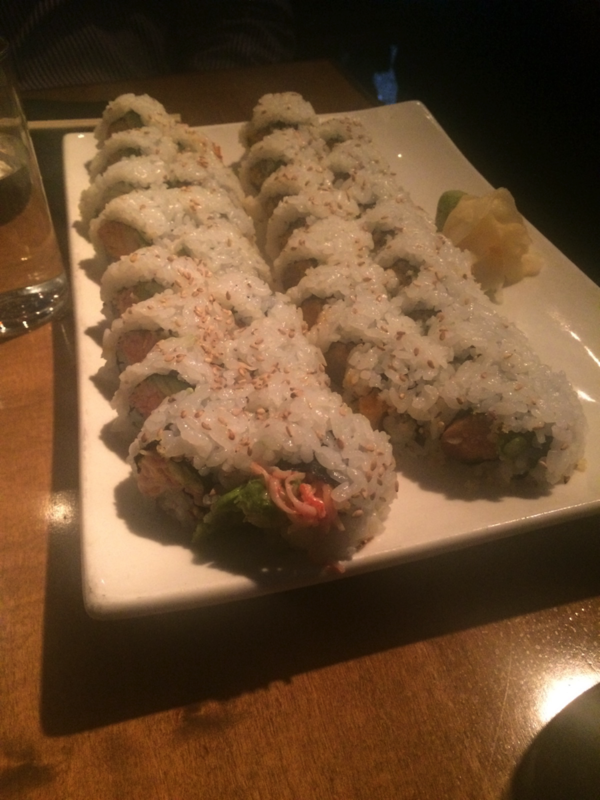 I traveled the distance to Royal Oak in search for some amazing sushi. I barely leave the city limits but Ronin had great reviews on yelp! It wasn’t too hard finding parking on the street. I parked about a block away and parking was only 50 cents an hour. The restaurant had such a swanky vibe but it was super tight. It seems as though they packed as many tables as possible into the space. We were practically having a conversation with the next table over. They have these tiny water glasses but they left a pitcher at the table to refill whenever needed. The happy hour started as soon as the restaurant opened and consisted of several food, drink and desert options. We ordered 4 rolls, two spicy salmon, one spicy crawfish and a California roll, seaweed salad and three drinks and our total was under $35. You can’t beat that! The sushi was delicious and fresh! The spicy salmon and crawfish roll had a nice crunch to it! I was more than full and satisfied but the area is perfect to walk it off. There are a ton of shops and stores to stop in on a nice warm summer night! "Yesterday, I went to The Block for brunch with some of my Sorors. I say brunch only cause we were drinking before 5pm, they don't have a brunch menu. :)"
Read Daisha's review of The Block - Midtown! This Black-owned restaurant is pricey, but worth it. I’m definitely over this pumpkin thing, but I had some left over acorn squash that I needed to use, so I put it along with some greek yogurt to use in this amazing mac n cheese. From cheap premium drinks to 1/2 off appetizers, Starter's Bar & Grill happy hour has it all. With it's extensive menu and great drinks, Ronin is the perfect place to get your sushi fix and indulge in happy hour. These classic stuffed peppers with a Middle Eastern will have your taste buds dancing! This italian dish is the perfect comfort food to warm you up this fall! These meatballs are the perfect appetizer for your next dinner party! Only have 30 minutes to make dinner? This is the perfect recipe for you! 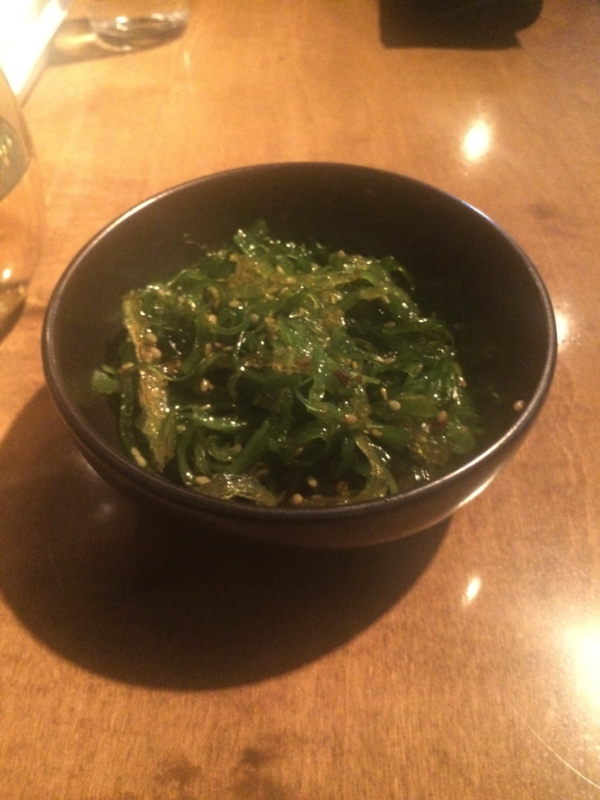 Posted on October 30, 2015 by Black Bottom and tagged Bougie Foodie Restaurant Review Sushi Ronin Japanese Royal Oak Gerrae Cotton Happy Hour.